We are certainly getting closer to the line now with the excitement starting to build up fairly intensely at this stage. Let’s once again take a peek across the sections. I thinks we are looking now at these three with Park and Grattan having the edge over Pearse Celtic, but you never know. 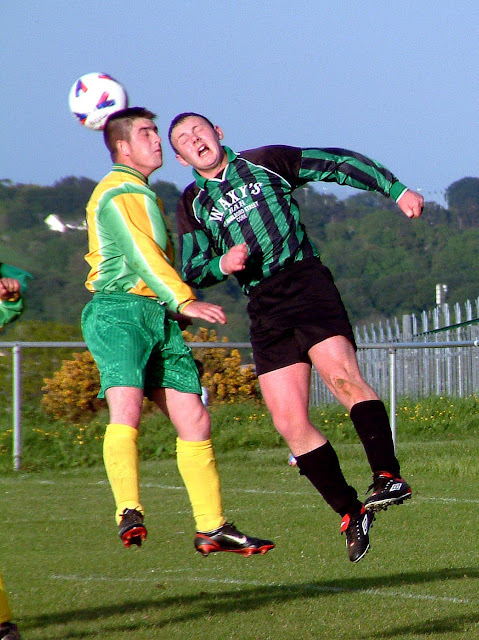 Games coming up for these sides will be Pearse Celtic’s trip to Glen Park on Saturday while Grattan welcomes the visit of a rejuvenated Coachford side to O’Neill Park. Both must-win games of course for Grattan and Pearse. Park of course will not be on league duty as they have to pay attention to their 1st leg AOH Cup tie up in the Fairfield against Bohs on Saturday at 2pm, but on Tuesday, they will host Glen Celtic while Grattan make the short trip to Glenthorn Park to take on Glenthorn Celtic. So, there's still a bit of a waiting game here to see if we see any surprises crop up. This one is starting to get real interesting. The top three as you can see have just two games to go and here’s the schedule. Lakewood must travel to take on Rylane and a win here would put them in a very strong position with 42 points and just one game to go. Next Saturday then what a cracker we could have on our hands when Knocknaheeny play host to Lakewood. 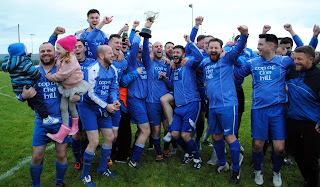 So, as you can figure out, if Lakewood beat Rylane and draw with Knocknaheeny Celtic, they will be champs because they will have 43 points – Knocknaheeny would have 39 points with a game to go - that’s one way of looking at it. I’ll leave ye figure the rest out for yourselves. As you can see, there is quite a bit of football yet to play. Just to put you in the picture here, there are 21 games to be played in case you are not sure. So, it’s really early days although we can be making our predictions right now. With games in hand, I suppose, both Tower and Buttevant catches the eye, but remember, this is a very tiring part of the season with players playing midweek games as well as weekend end clashes. But, these two have big squads which is a huge plus to counter act fatigue. Despite that, I think the winner is going to come from one of these two. Here is the situation in 1A. Boscos A have just one left. Leeview Athletic are looking good with four games to go and it would look like at this stage that the title is in their hands. I think you will all agree, with 15 games to be played here, this is a no-brainer as to whose going to win the title. This is definitely down now to a two horse race. Glenthorn made a massive statement on Tuesday night with a 2-0 win over their title rivals City Wanderers in their own back yard at the CIT Grounds. Here is what’s next up for these two. City Wanderers will travel to Popham’s Field where they will be red-hot favourites to take the points against Hillington while Glenthorn Celtic B go on the road to take on a tricky fixture against Carrigtwohill Untied, but you would have to fancy Glenthorn here. That being the case, the table won’t change after the weekend. Then, on Tuesday, City Wanderers will take on Corkbeg at home in what will no doubt be a must must must-win game. So, let’s wait to see if any upsets happen. This one is well and truly over now with Central being crowned as champions officially tonight following their 2-1 defeat over runners-up Temple United at Central Park. The photograph speaks for itself. 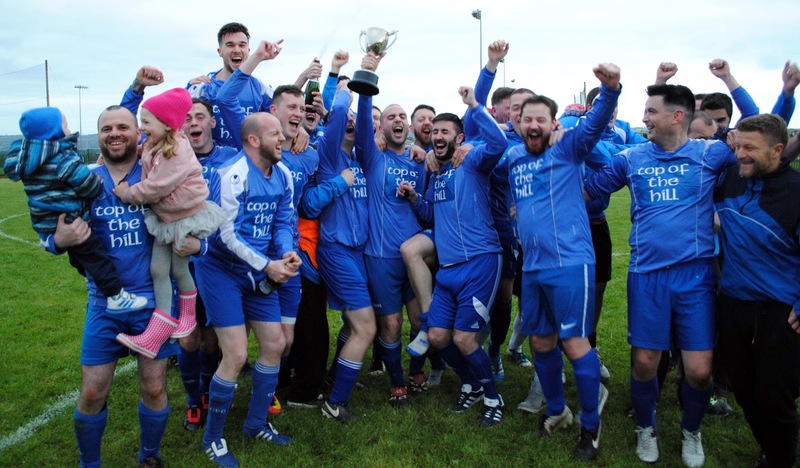 Central Rovers celebrate after being crowned league 3 Champions officially following their 2-1 victory over Temple at Central Park tonight (Thursday, 27-Apr-17). Churchvilla will play UCC on Saturday and as you can see, a win here would give them 41 points with one game left.. They then must play Leeview B next Tuesday night in what will be both team's final game in the league at Kilmoy in Cloyne and a draw here or a win would see them over the line as Champs. But, as you know, there are a couple of other permutations and combinations to be considered also. Anyway, we are nearly there, but still more excitement to wait around for.